A child’s first visit to the dentist should be enjoyable and positive. The more you and your child know about the first visit, the better you will feel. Children are not born with a fear of the dentist, but they can fear the unknown. Our office makes a practice of using pleasant, non-frightening, simple words to describe your child’s first dental visit and treatment. We want you to feel at ease from the moment your family arrives at our Bonner Springs office. Your child’s first tooth erupts between ages 6-12 months and the remainder of their 20 primary or “baby” teeth typically erupt by age three. During this time, gums may feel tender and sore, causing your child to feel irritable. To help alleviate this discomfort, we recommend that you soothe the gums by rubbing a clean finger or a cool, wet cloth across them. You may also choose to make use of a teething ring. 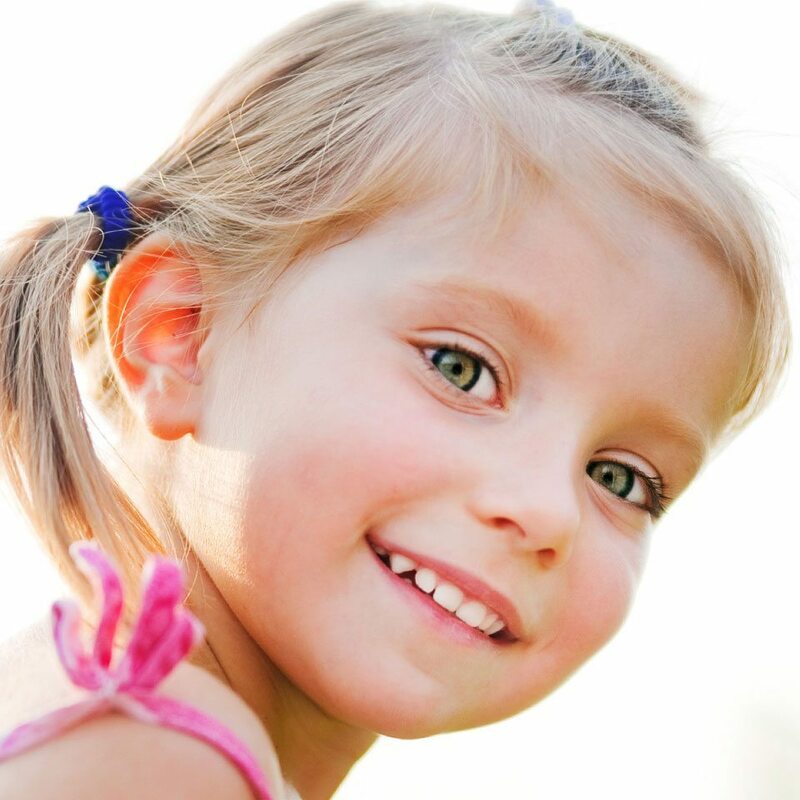 Your child’s primary teeth are shed at various times throughout childhood, and their permanent teeth begin erupting at age 6 and continue until age 21. Adults have 28 permanent teeth, or 32 including wisdom teeth. As new teeth erupt, examine them every two weeks for lines and discoloration caused by decay. Remember that sugary foods and liquids can attack a new tooth, so take care that your child brushes their teeth after feeding or eating. We recommend brushing four times a day for optimal oral hygiene: after breakfast, after lunch, after dinner, and at bedtime. Brushing can be fun, and your child should brush as soon as the first tooth arrives. When a baby’s tooth erupts, parents should brush the tooth with a soft-bristled toothbrush and a pea-sized amount of toothpaste. For children younger than two, do not use fluoride toothpaste unless advised to do so by your dentist or other health professional. We suggest reviewing proper tooth brushing procedures with your child. Tooth decay is preventable. 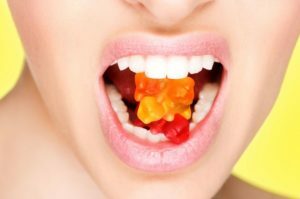 Tooth decay is caused by sugars left in your mouth that turn into an acid which can break down your teeth. Children are at high risk for tooth decay for a simple reason — many children and adolescents tend to be lax in their oral hygiene habits. Proper brushing and flossing routines combined with regular dental visits help keep tooth decay away. A low-sugar diet also helps keep tooth decay at bay. Serving Bonner Springs, Tonganoxie, Shawnee, Basehor, Lake Quivira and Kansas City, KS (Kansas) - Dr. Tom Drake is your family dentist, offering dental care for children, teens, and adults. My husband and I have been coming to Dr. Drake for 15 years. He has taken great care of our 3 children, seeing 2 of them through braces. We wouldn’t go anywhere else!